High Country Performance 4x4 is a full service repair and installation facility for your 4x4. Our trained ASE Certified technicians perform most repairs on any four wheel drive vehicle. General maintenance, factory maintenance services, differential services, tire sales, fleet services, brakes, conversions including Hemi conversions, and restorations are all done in house. 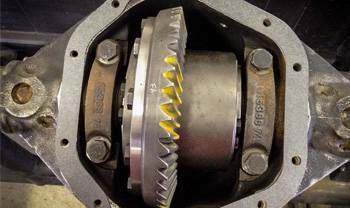 HCP4x4 also offers suspension and differential warranties. HCP4X4 offers pre and post season inspections. Our technicians will thoroughly inspect your vehicle to make sure it is prepared for four wheeling and daily driving as well as inspect post season to make sure that your vehicle will be safe to drive in the off season and to make sure you haven't damaged any parts while you were playing and having fun. Our service technicians are the best in the business. Our tech team has over 70 years combined experience and work on most four wheel drive vehicles. HCP4X4 offers installations on all makes and models. If you are looking for a simple budget boost or custom 4-link suspension, our team has you covered. 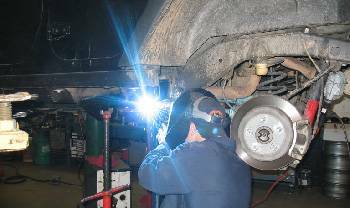 In addition to our suspension installation, our team performs professional alignments to ensure proper caster and camber for proper handling and wear on your tires. 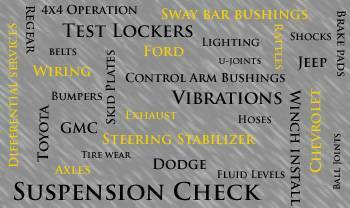 Each suspension installation comes with a 500 mile courtesy inspection! High Country Performance 4x4 offers installation of ring and pinion, lockers, upgraded axle shafts, u-joints, brake overhauls and brake upgrades, wheel bearing and hub assembly. We offer the highest level of customer service and installation. Our team uses high quality replacement parts to make sure your worn or damaged items are upgraded right the first time. Please choose a week day (Mon-Fri)THREE weeks from today's date as we are usually booked out that far. Please choose a week day (Monday-Friday). Please keep in mind depending on the time of year that we may be scheduling up to 4 weeks out. Your appointment request will be reviewed by one of our sales representatives and then they will confirm with you via phone/email.